One of the several highly collectible Zenith consoles out there, the 9-S-367 has an attractive large black "robot" dial surrounded by rows of pushbuttons. 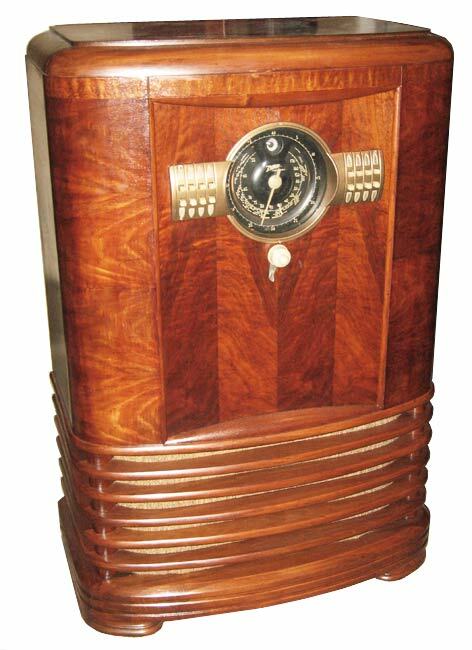 The "robot" dial is also referred to as a "shutter" dial by collectors because the portions of the dial showing the station markers and bands are on movable shutters that move in and out of view when changing AM or shortwave bands. Some of these consoles featured motorized tuning, but the 9-S-367 instead has a flywheel built in the chassis on the tuner knob that allows it to change stations smoothly and effortlessly. 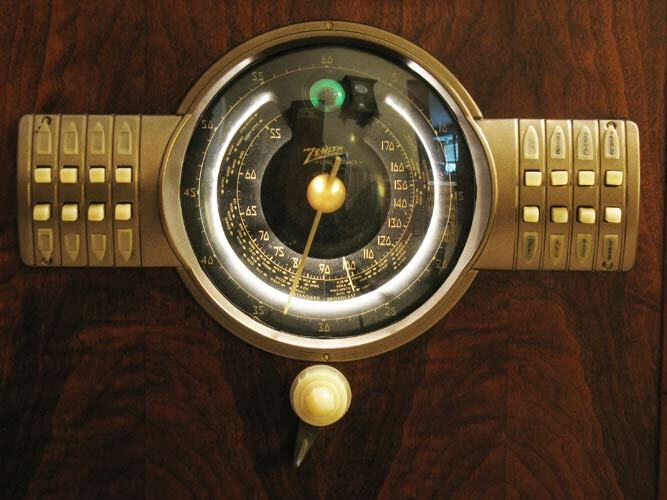 Zenith first introduced the "robot" dial in 1938. 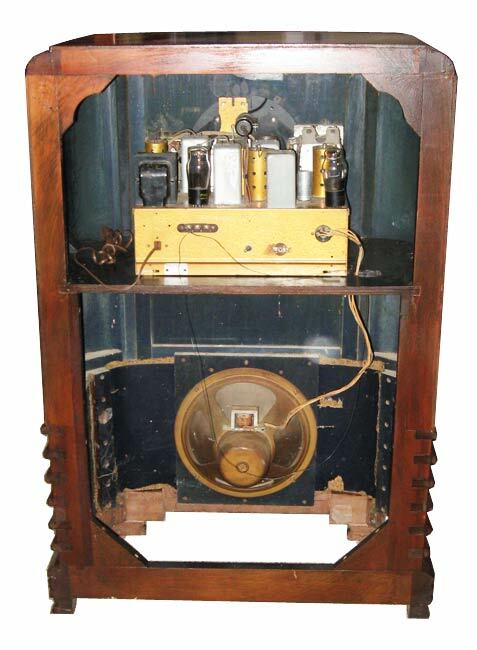 The 9-S-367 was originally priced at $109.95 and advertised with many features including a Radiorgan tone control and automatic pushbutton tuning for up to 8 stations. I picked up my example after coming across a local classified ad. The radio was initially in poor condition after evidently having been stored in a damp and leaky garage or shed for probably at least a decade. Unfortunately, the chassis and the dial was in such poor condition that I ended up buying an entire 9-S-367 chassis that was in better shape off ebay. As far as electrical restoration, the original orange Zenith paper capacitors were restuffed and the radio worked well afterwards. All the original pushbuttons and knobs were missing when I bought the Zenith so they had to be replaced with reproductions. The cabinet was easier to refinish since time and wear had taken care of removing most of the original finish.